Dirty Dancing has firmly established itself as one of the most popular films of all time and the ultimate chick flick, achieving almost cult status. In the summer of 1963, the Houseman family arrive at Kellerman's resort in the Catskill mountains ready for a wholesome family holiday. Talent shows, Simon Says and lookalike contests are top of the bill until the youngest daughter Frances (aka Baby) finds herself more interested in entertainer Johnny Castle and falls headfirst into a whirlwind holiday romance. Federico Ballone's production is an almost carbon copy of the original film and is packed with the iconic scenes and songs the audience would expect. Hungry Eyes, The Time of My Life and Do You Love Me? form just a few of the popular musical offerings and all have toes tapping from the first scene. Lewis Griffiths takes on the role of Johnny with ease, and has great chemistry with Katie Eccles as Baby. Carlie Milner does a great job with the role of Penny, the former Rockette and Johnny's dance partner. Penny's story is an emotional yet heartwarming one which Milner executes perfectly. Gillian Bruce's choreography is slick and exciting, especially in the build up to the famous lift scene. The cast are energetic and enthusiastic when delivering the routines and the scenes with the ensemble on stage fast become favourites. 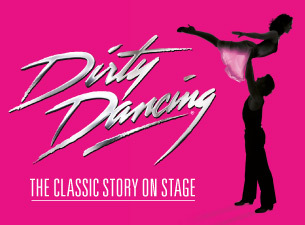 This production is sure to delight both die-hard fans of the original film as well as Dirty Dancing newbies, managing to be entirely faithful to the movie while still feeling fresh and fun. Get yer tickets now.